COLORADO SPRINGS, Colo. — USA Triathlon today officially announced the launch of its charitable fundraising arm, the USA Triathlon Foundation, which was formally approved as a 501(c)(3) organization to support youth participation in the sport, paratriathlon as a grassroots and Paralympic discipline, and the development of elite athletes through the U.S. National Team pipeline. The Foundation is designed to improve the general well-being of individuals through programming that supports the multisport lifestyle. Donations and grants will help instill fitness in children in underserved communities across the country, open the doors of participation to aspiring paratriathletes and fuel the Olympic dreams of America’s rising stars. 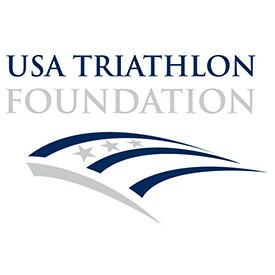 To make a secure, tax-deductible contribution to the USA Triathlon Foundation, please visit usatriathlon.org/foundationdonation. Visit usatriathlon.org/foundation for more information on the USA Triathlon Foundation.